Yawning Man – In the late 80’s when Gary Arce was living with Mario & Nana Lalli, he began jamming with drummer Alfredo Hernandez in the garage. One day they invited Mario to join in on bass and Yawning Man was born. Arce’s irreverent approach to guitar has long baffled fellow musicians and challenges the laws of nature. Odd voicing’s, alternate tuning’s, and a picking style involving his thumb are all part of the magic that IS Gary Arce. Though the band jammed out in the 80’s it wasn’t until 2005 that YM began recording. By the 90’s the group morphed into The Sort Of Quartet, a punk-fusion project. 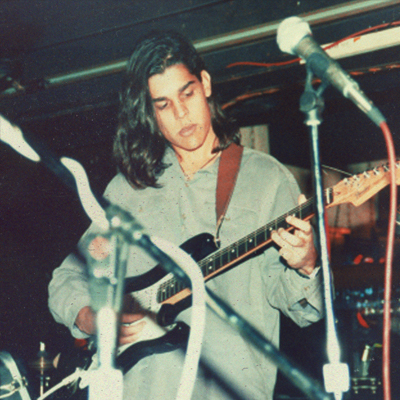 Alfredo Hernandez left the group to tour with Kyuss and was replaced by Rob Peterson (The Pedestrians) Their debut full length, “Rock Formations” was followed by the EP, “Pothead” and the band began attracting fans in Europe establishing a healthy fan base of stoner rock connoisseurs.